The removal of waste costs farmers up to �150 million a year. The CLA is calling on candidates standing in next month’s Police and Crime Commissioner (PCC) elections to treat rural crime as a high priority. 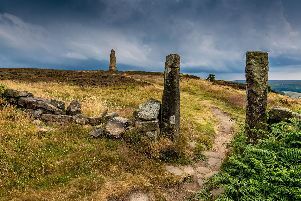 The membership group, which represents thousands of landowners, farmers and rural businesses in the North, says reducing crime and the fear of crime is central to improving quality of life for people living in the countryside. CLA North regional director Dorothy Fairburn said: “Incoming commissioners need to work with rural communities to combat crime in our countryside and protect rural businesses. They must be in no doubt as to the scale and impact of rural crime and where action is most needed. l Theft – the theft of metal, fuel, machinery and livestock blights the lives of farmers and rural businesses. l Wildlife and heritage crimes – commissioners need to engage with landowners to prevent wildlife crimes such as poaching and hare coursing, as well as heritage crimes, all of which have a major impact on rural communities, conservation activities and the protection of historic buildings. l Fly-tipping – the removal of waste costs farmers and rural businesses up to £150 million a year. It also creates damage to crops and is a danger to livestock. l Police presence – engagement with rural communities, a strong police presence to increase confidence and quick response times are vital. l Funding – rural communities are less densely populated which makes it more difficult to ensure a visible police presence and means less money is collected through precepts. As the Government revisits the police funding formula, it is vital the needs of rural areas are met.